Xmore´s new nanoUSB sticks, available from Glyn High-Tech Distribution , are one of the smallest USB sticks available. With the dimensions of (L)19.4mm x (B)15.4mm x (H)6.9 mm and weighing just 2g, nanoUSB sticks are ideal for applications where there is limited space. Xmore's nanoUSB sticks were specifically developed to fit into small spaces and not stick out from the application, eliminating the concern of breakage. 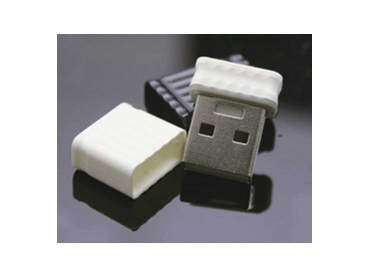 NanoUSB sticks are available with a capacity of 2GB, 4GB, 8GB or 16GB and feature USB 2.0 high quality metal housing for operating security. Xmore's nanoUSB sticks can also be customised with company logos with a minimum order quantity of 1,000. O/S Support: Win 98 (driver required), Win ME/2000/XP/Vista, Mac OS 9.x/Mac OS X up.